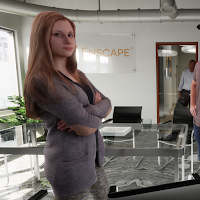 I've had the good fortune to write another blog post for Enscape, and it is now live on their website (link provided below). The post is an overview on using RPC entourage and clutter to create amazing architectural renderings that look natural and lively. 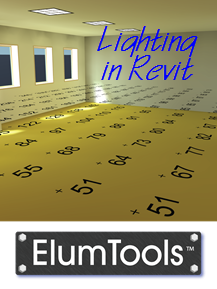 This includes content we have access to in Autodesk Revit, ArchVision's subscription-based content, as well as the Enscape RPC replacement option. At the end of this BIM Chapters post, I have a few teaser photos related to the "part 2" for the Enscape post... creating custom RPC content! Given the dynamic nature of Ensacpe, I decided to create a couple short videos to capture that "magic" by navigating around a few RPC examples. 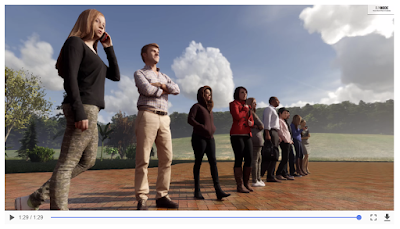 The iamge below is a screen shot of the video (don't try clicking play here!). In a future post I will cover various ways to make your own RPC content. 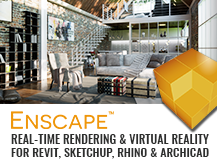 One of the most detailed, and coolest, ways is to use a service provided by one of Enscape's re-sellers here in the United States; Cad Technology Center (makers of CTC Express Tools for Revit). They own a store in the Mall of America (MOA), called ME3D, here in Minnesota (where I live). The MOA is nice place to go with the family when it is -30 degrees outside in the winter months here in Minnesota. Notice I did not add "F" or "C" after that temperature? Both Fahrenheit and Celsius are pretty much the same at this point! As you can partially see in the photo below, the center of the mall has a large, totally enclosed, amusement part - with roller coasters, zip lines, Caribou Coffee and a Hard Rock Cafe (I like the coffee part best, while my kids are riding:)). The amuzment park started as Camp Snoopy, (based on Charlie Brown comics) but now has a Nickelodeon theme . Ok, back to business... one more teaser for the future Enscape blog post; the image below is from the ME3D store's full size person/object scanner. Stay tuned, as you are going to love this!